The question from this tweet by Femi Fani-Kayode means that someone or group somewehre were using the Managing Director of GTBank, Mr Segun Agbaje to fight against the business interest of Chief Innocent Chukwuma, and one wonders why. The Economic and Financial Crimes Commission has vowed to arrest the Chairman, Innoson Motors Nigeria Limited, Innocent Chukwuma, in order to face fraud charges in court. The EFCC spokesman, Mr Wilson Uwujaren, said this in a statement on Wednesday shortly after Justice Olusola Williams of the Special Offences Court sitting in Ikeja, struck out the case of fraud it instituted against Chukwuma. The court struck out the case after the anti-graft agency failed to produce Chukwuma in court to face trial. Chukwuma and his company, Innoson Motors Nigeria Limited, were to be arraigned on four counts of conspiracy to obtain by false pretences, obtaining by false pretences, stealing and forgery. The defendants were alleged to have conspired to obtain, by false pretences, containers of motorcycles, spare parts and raw materials, the property of Guaranty Trust Bank, from Mitsui OSK Lines Limited, Apapa, Lagos. They were also alleged to have fraudulently induced staff of Mitsui OSK and Maersk Line to deliver to them, via their clearing agents, the goods that were imported from China in the name of GTB by pretending that they were authorised by the bank to clear the goods. The defendants were said to have forged a bill of lading numbered 598286020 of Maersk Line Limited and 11007950841 of Mussui O.S.K. Line by knowingly putting a false GTB stamp and signature of the bank employee. However, since the suit was instituted, first before Justice Mojisola Dada of the same court, the defendant had refused to appear in court to face his trial. In a short ruling on Wednesday, Justice Williams held that it was the responsibility of the EFCC to produce him in court. The Innoson Vehicle Manufacturing Company (IVM) has said that litigations against the company and its management are hampering its plans to upgrade from manual to automated production. 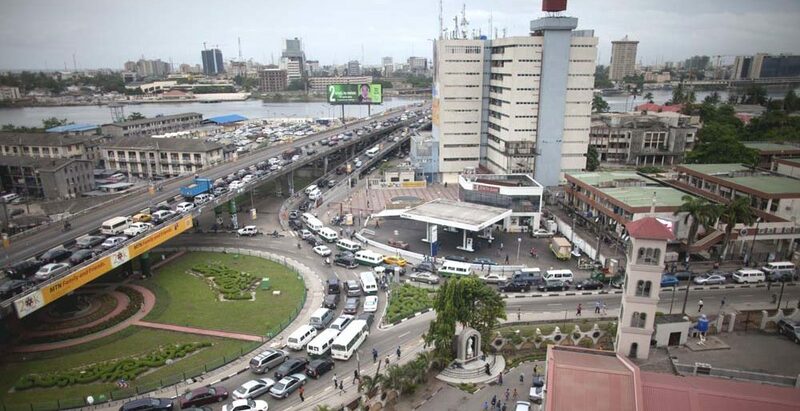 Addressing newsmen in Lagos, the company’s Head of Corporate Communications, Mr Cornel Osigwe, said the recent suit filed by the Economic and Financial Crimes Commission (EFCC) at a Lagos High Court is distracting its upgrade from 10,000 cars production capacity annually to 60,000. Osigwe, who explained the reason for the absence of Dr. Innocent Chukwuma, the Chairman of IVM, from the court, said workers of the company are in fear of being harassed. Justice Mojisola Dada of the Ikeja Special Offences Court had, last week, declared Chukwuma wanted for failing to appear before the court for an arraignment over a four-count charge of conspiracy to obtain property by false pretence, obtaining property by false pretences, stealing and forgery preferred against him by the EFCC. Osigwe said: “Innoson is contesting that the Lagos High court has no jurisdiction to entertain the suit and not afraid of arraignment or running away from the court. He is saying that he must be arraigned through due process of the law. “There has been an advertorial by the EFFC declaring Dr. Innocent Chukwuma, the Chairman of IVM wanted. That publication has maligned his image and reputation as well as put him in a bad light as somebody who is a criminal. This is not so. “The fact of the matter is that there has been an abuse of court process by the EFCC over a business disagreement between IVM and Guarantee Trust Bank, which started in 2013. “This same case instituted by the EFCC is still pending at the Federal High Court, Lagos and at the Court of Appeal, Lagos. The organisation said the court action in which Chukwuma is being charged, for obtaining customs documents through fraudulent means was diversionary and intended to persecute the automobile manufacturer. In a statement by the Special Adviser to the President-General of Ohanaeze Ndigbo, Chief Emeka Attamah, the apex Igbo organisation insisted that the action was yet another attempt at hounding another son of Igboland. “Cognisant of the matter in court and without any pretense to the veracity of the case or otherwise, Ohanaeze Ndigbo views the current travails of Chukwuma as yet another attempt at hounding another son of Igboland who, out of personal enterprise and dint of hard work, has helped in shaping the economic and industrial fortunes of Nigeria. “Ohanaeze frowns at this recent attempt to obfuscate the clear court victory won by Innoson’s Group in a crucial suit against a leading bank in the country,” Attamah noted. The organisation said the current twist in the whole affair was a deliberate attempt to put Chukwuma on the defensive in a matter that clearly vindicates him and confers a lot of financial advantage on him and taint his reputation by introducing a criminal angle to an already settled civil proceeding. “Ohanaeze is carefully studying this discriminatory treatment of his adversaries and the law enforcement agents with a view to reviewing the patronage of our people to any economic establishment found to be associated in this new criminal assault of Chukwuma. An Ikeja Special Offences Court has issued a bench warrant for the arrest of Mr Innocent Chukwuma, alias Innoson, the Chairman of Innoson Motors Nigeria Ltd. The News Agency of Nigeria reports that Justice Mojisola Dada issued the bench warrant following the failure of the defendant to appear in court for the second time for arraignment on criminal charges filed by the Economic and Financial Crimes Commission. “A bench warrant is hereby served on Innocent Chukwuma, he will remain in custody till the next adjourned date. Earlier, during the proceedings, a mild drama ensued in the courtroom, with Justice Dada threatening to charge Prof. J. N Mbadugha, the defence counsel for Innoson and Innoson Motors Ltd, for contempt of court. Charles Chukwuma, a third defendant who was not present in court, had no legal representation. Justice Dada issued the threat against Mbadugha following his alleged disrespectful conduct and outburst against the court in his opening address. Mbadugha in his address had shouted: “This proceeding is a clear abuse of court processes, the EFCC is a reckless arbiter. Justice Dada, in response, said: “Your whole comportment, conduct, countenance smacks of disrespect to the court and rule of law, I will report you to the Nigerian Bar Association. Mbadugha, who initially said he was ready to be charged for contempt, later tendered an apology to the court, saying: “I am sorry My Lord, I hope the court gives me a second opportunity. The defence counsel apologised to the court saying he had withdrawn his earlier statements. They wished they never got involved in Innoson group boss, Innocent Chukwuma with EFCC saga. But it is a move that badly got the them burnt. Guaranty Trust Bank has exposed its bad customer service delivery deficiencies to the public. Since the news of arrest of Innoson Motors in a case involving the bank, its reputation has been badly marred by more stories of frivolous charges on their customers apart from the one done to Chief Innocent Chukwuma. The move to close accounts in GTBank has just gathered momentum and many are now determined to follow those who have done so in the last three days. The chances of this easing or frayed nerves of customers, mainly Igbo one calming, is very remote. Though Nigerians are very sensitive about tribal issues, this has touched the very man the Igbo love most due to the fact that he is a shinning example of bringing businesses home, something the Igbo have been crying for in the last few years. GTBank has erred against the very people who kept it in business. Other banks will learn a lesson or two in this saga. Do not mess with your customers because they are the very reason you have business in the first place. This gathering momentum, if not checked, would take GTBank to bankruptcy. Above all, they have suffered a very terrible customer service backlash. Their reputation now in customer service delivery has been exposed to a very limelight. Like many have said, this is not about Igbo versus GTBank issue but the bank versus customer service stunt gone badly wrong. Many have complained in the past about how GTBank withdraw their money at will and never return them. Some of these aggrieved customers are the first to find reason to close their account since this incident with Chief Innocent Chukwuma took place.